Valentine's Day is only a couple of days away. Kristen took a look last week at some Valentine themed books. 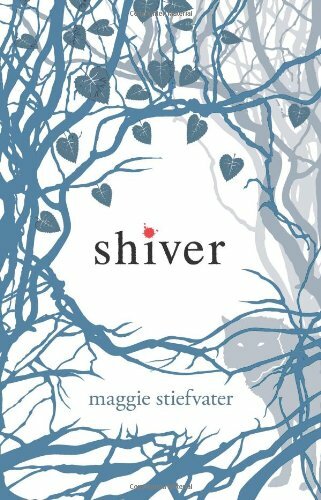 This week I thought I would look some books that are good love stories, not necessarily Valentine themed. The first two are ones that I have read and the last two are ones that I want to read. Description: In 1958 Landon Carter is a shallow but well-meaning teenager who spends most of his time hanging out with his friends and trying hard to ignore the impending responsibilities of adulthood. Then Landon gets roped into acting the lead in the Christmas play opposite the most renowned goody two-shoes in town: Jamie Sullivan. Against his best intentions and the taunts of his buddies, Landon finds himself falling for Jamie and learning some central lessons in life. I have only read the first book so far but it seemed like a love story to me so if you haven't read this then you should. Grace has spent years watching the wolves in the woods behind her house. One yellow-eyed wolf—her wolf—watches back. He feels deeply familiar to her, but she doesn't know why. Sam has lived two lives. As a wolf, he keeps the silent company of the girl he loves. And then, for a short time each year, he is human, never daring to talk to Grace...until now. For Grace and Sam, love has always been kept at a distance. But once it's spoken, it cannot be denied. Sam must fight to stay human—and Grace must fight to keep him—even if it means taking on the scars of the past, the fragility of the present, and the impossibility of the future. For two that I haven't read but would like too. Description: Though he may not speak of them, the memories still dwell inside Jacob Jankowski's ninety-something-year-old mind. Memories of himself as a young man, tossed by fate onto a rickety train that was home to the Benzini Brothers Most Spectacular Show on Earth. Memories of a world filled with freaks and clowns, with wonder and pain and anger and passion; a world with its own narrow, irrational rules, its own way of life, and its own way of death. The world of the circus: to Jacob it was both salvation and a living hell." Jacob was there because his luck had run out - orphaned and penniless, he had no direction until he landed on this locomotive "ship of fools." It was the early part of the Great Depression, and everyone in this third-rate circus was lucky to have any job at all. Marlena, the star of the equestrian act, was there because she fell in love with the wrong man, a handsome circus boss with a wide mean streak. And Rosie the elephant was there because she was the great gray hope, the new act that was going to be the salvation of the circus; the only problem was, Rosie didn't have an act - in fact, she couldn't even follow instructions. The bond that grew among this unlikely trio was one of love and trust, and ultimately, it was their only hope for survival. Description: When Henry meets Clare, he is twenty-eight and she is twenty. Henry has never met Clare before; Clare has known Henry since she was six. Impossible but true, because Henry finds himself periodically displaced in time, pulled to moments of emotional gravity from his life, past and future. Henry and Clare's attempts to live normal lives are threatened by a force they can neither prevent nor control, making their passionate love story intensely moving and entirely unforgettable. The Time Traveler's Wife is a story of fate, hope and belief, and more than that, it's about the power of love to endure beyond the bounds of time. The Time Traveler's Wife is so good, but so sad. It runs the emotional gammut. Water for Elephants is one of my all-time favorite books. It is WONDERFUL- character, setting, story line = perfection. And great picks, April Nichole. I loved Shiver, and I definitely have to try Water for Elephants. I haven't heard of it, but the premise is really unique and intriguing - thanks! I stopped by your blog today. 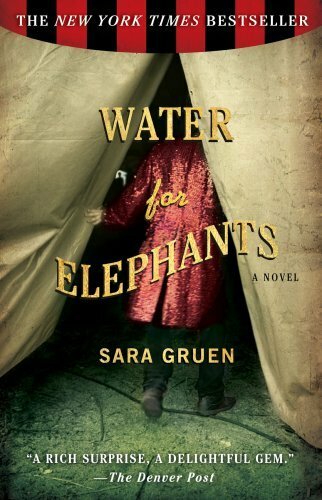 Water for Elephants is a great book club read. Water for Elephants is a really good book. I read it last spring and really really enjoyed it. I'm looking forward to reading Sara Gruen's newest novel, Ape House, when I get the chance. I haven't read one of your books yet. But I plan to, they sound great.